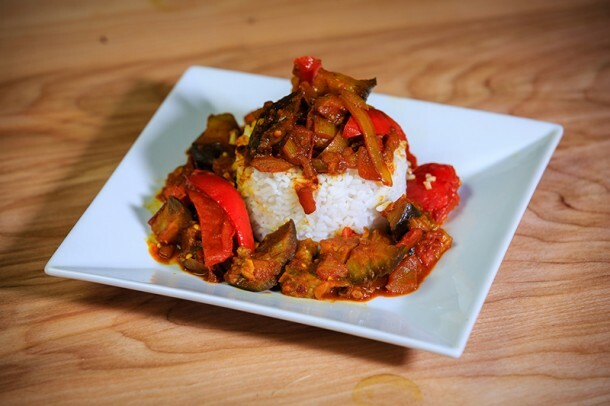 ChefSteps Forum | It’s Meatless Monday! 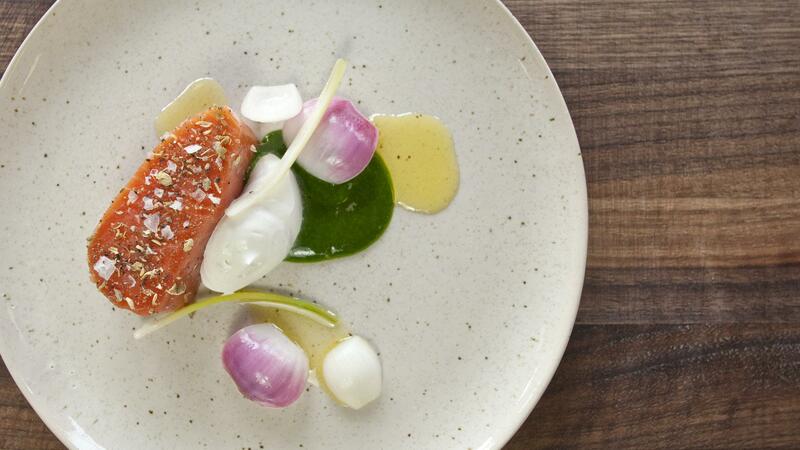 Michael Natkin issued the first ChefSteps sous vide vegetarian challenge last week on our forum. 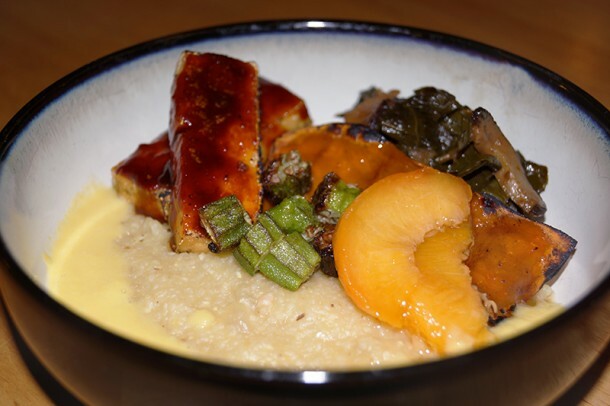 The objective was to use the sous vide method to make a great meatless main course to wow us. There were some really spectacular dishes and once again, we were knocked out by your efforts and results. Grant, Chris, and Kristina Krug (filling in for Ryan) each picked a favorite dish and since Grant and Chris picked the same dish and it was Michael’s challenge, he also chose a favorite to feature on our Pinterest board. 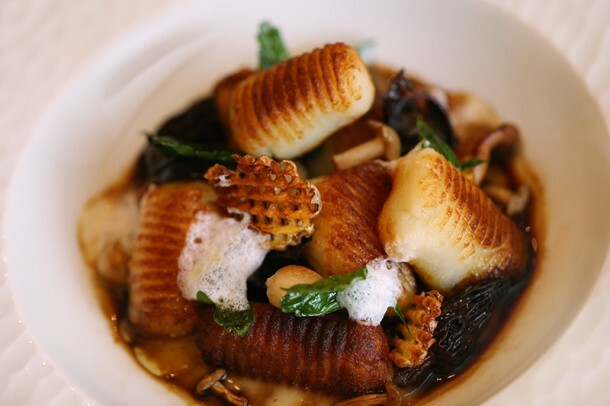 Grant Crilly: My favorite this week has to be Chris Koller’s sous vide ricotta gnocchi. It is a huge surprise to me that this technique was even an option. After many years of making cheese myself, and using a C-Vap and water bath for the curds, I always went to the pot on the stove for ricotta. What was I thinking? This is a real eye opener for me, I love it! Keep it up, Mr. Koller. Chris Young: I’m with Grant on this one, Chris Koller did an awesome job! Kristina Krug: I’m choosing Allen Johnson’s Bangan Bartha this week. He did a wonderful job at visually displaying the dish, in addition to his prep. The colors were vibrant and I really liked the angles of the shots. Looking forward to seeing more photos from Allen in the future! Michael Natkin: My pick of the week is Brian Douglas’ BarBiBimBapQue . I love the cross-pollination of Southern flavors with the Korean presentation and twists. I’m a sucker for the contrast of savory flavors with the sweet punch from the peaches. Nice work! 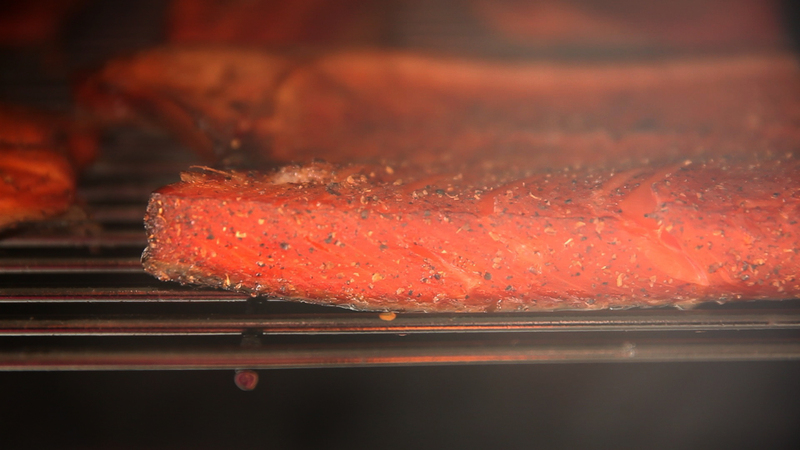 Thank you to everyone on the ChefSteps forum and followers of Herbivoracious for your participation. We hope you are enjoying these challenges as much as we are! 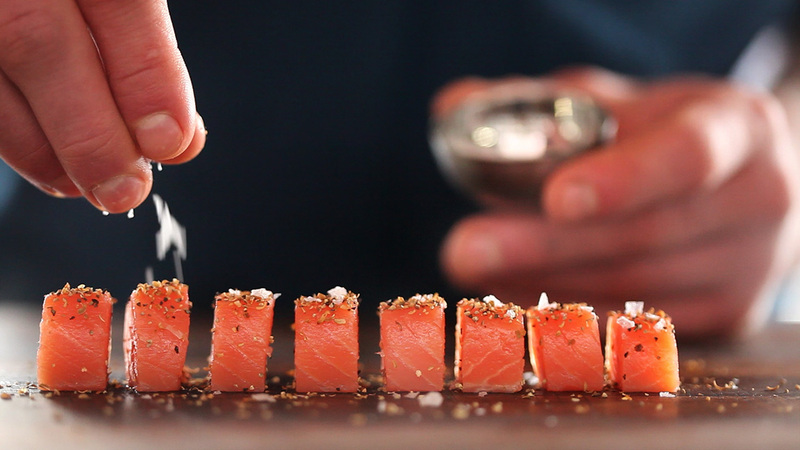 Last week, Grant Crilly issued the first ChefSteps culinary challenge on our forum. The objective was to use the sous vide method to make a meal or dish that featured breakfast fare for dinner. We could not be more pleased with all of the effort that everybody put into the challenge and we are thrilled by all the resulting dishes that were prepared. As promised, Grant, Ryan and Chris each picked a dish to highlight, so I’ll let them weigh in on their choices and get busy pinning the chosen dishes to our Pinterest board. Grant Crilly: It has been amazing to see so many individuals come to our site, get engaged and learn new skills. More amazing, to me, is how quickly our students have picked up new skills and adapted to foods they already know and love. This week’s challenge was the first for ChefSteps and it could not have gone better. Chris, Ryan, and I have each chosen a dish that stood out to us. 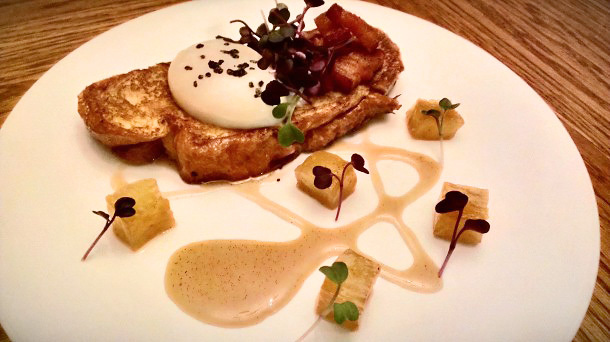 This week, my favorite would have to be Jim’s sous vide chorizo infused French toast with 64 °C poached egg. I loved the presentation and that he really focused on doing one thing really well, and letting the rest support his main idea. Very beautiful presentation. Congrats, Jim! 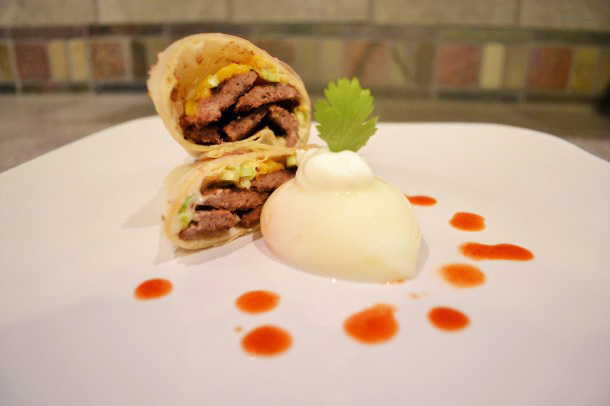 Ryan Matthew Smith: As our photographer, I’ve picked Mason Perry’s sous vide breakfast gyro and egg. 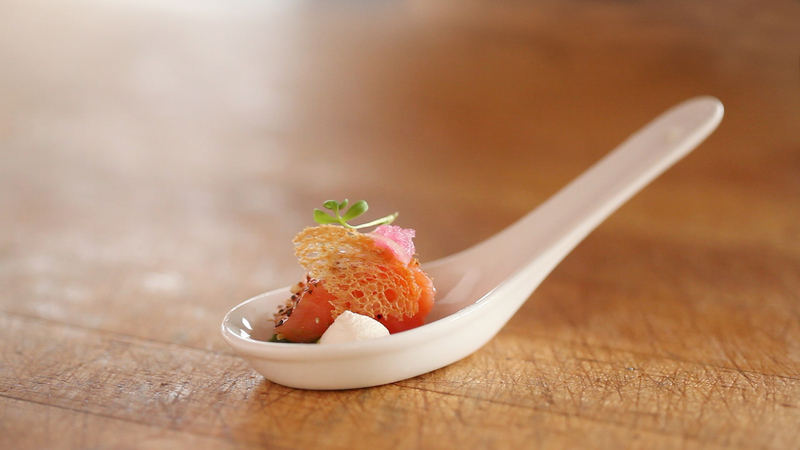 I really liked his presentation of the dish and the perspective he shot from for the photo. Great job, Mason. Chris Young: So, I’m truly impressed and humbled by all of the effort people put into our first culinary challenge. I look forward to seeing what our students will do this week. I’m going to single out Lachlan Hunt this week for his modernist take on the “full Aussie” with a twist. 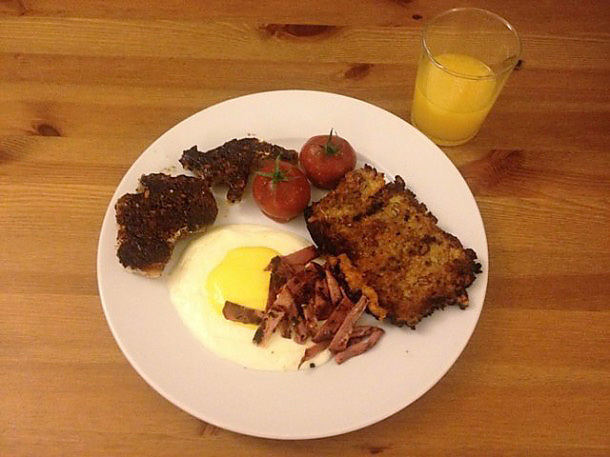 I happen to know that his adaptation of Heston Blumenthal’s historic “meat fruit” recipe is difficult to execute and his convincing job of making a breakfast banger look like roast tomato is clever, and I suspect, delicious. Good job, Lachlan. 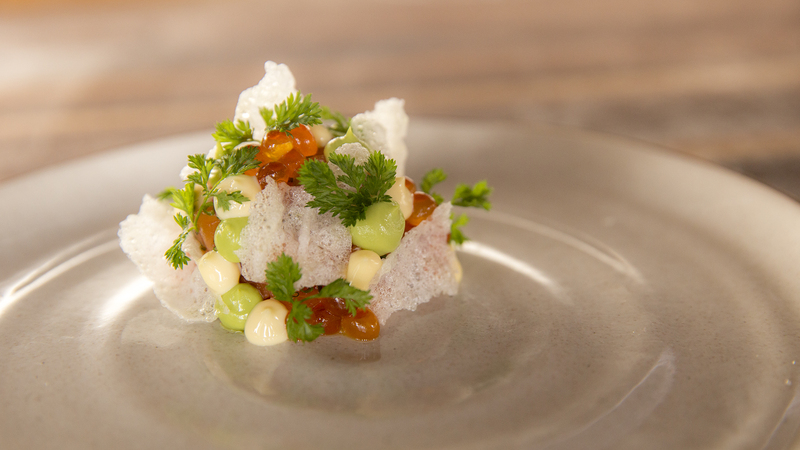 We can’t wait to see what you all come up with for Michael Natkin’s sous vide vegetarian challenge this week! Thank you to everyone on the forum for your ongoing invaluable participation, whether in the challenge, Q&A, or most important, encouraging each other along the way.